Sejong's Pre-K program is a fee-based academic Pre-K program, approved by the Minnesota Department of Education. We are excited to add this program to help get our students ready for further study in Korean and English in Kindergarten. Instruction will be primarily in English with enrichment lessons and classroom language in Korean. School Year: The Pre-K program follows our Sejong Academy school calendar, usually late August to late June the following year with breaks in between. Age: Students must turn four (4) by September 1 of the corresponding school year. Time: Classes go from 8:30AM to 2:30PM. Meals: Free breakfast and lunch provided each school day. Enrollment: Please fill out the Sejong enrollment form online and submit the follow-up forms to us. 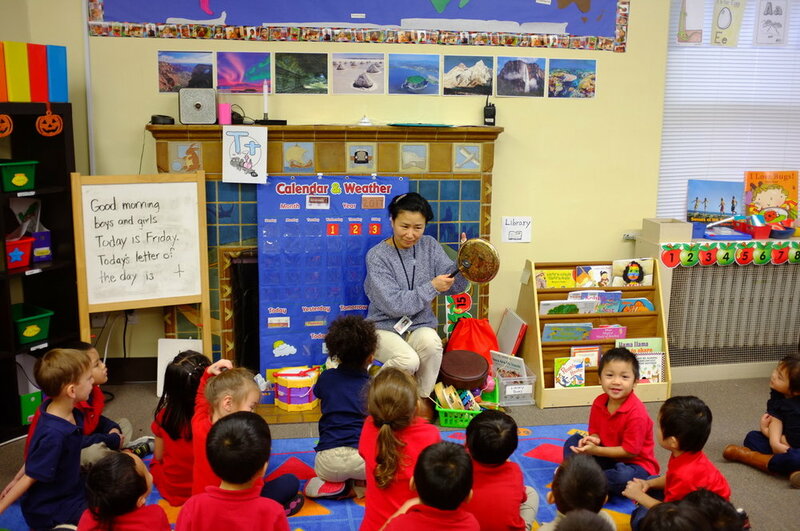 Our Pre-K program follows Sejong Academy's enrollment policy. Tuition: $400 per month during the school year from August-June. We will charge a flat fee of $400 even though some months have fewer school days. If a student qualify for free or reduced lunch, their tuition will be free or reduced by the same percentage.